Its an exclusive metallic light weight pinkl colored wedding invitation with Ganesha Paste up in the center. This marvelous invitation comes along with attractive inserts. Its engrossing ! Let your guests know of your spectacular wedding with our luxurious bespoke invites. Embellished invitation is our signature style in the luxury wedding space. 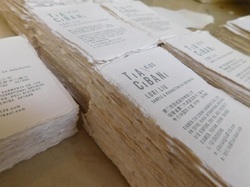 From our wide consignment, we are engaged in supplying Luxury Wedding Invitations. Impress Your In-Laws And Guests With This Atrractive And Elegant Wedding Invite. 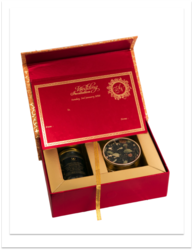 This is Luxury Wedding Invitation with Box Included in this price. It is a wedding invite in a box with velevt and a laser cut Motif.Satin cloth inside with 2 leaf. This Card is Printed in four colour offset Front & Back printingOpening : LandspaceOrientation..
We are engaged in offering Luxury Wedding Invitations. Our reputed entity is engaged in supplying Luxury Wedding Invitations.